At Fusion Insulation we regularly get asked “What’s the best building insulation?” or “What’s the best home insulation?” and genuinely answering those questions can put us in an awkward position, because answering those questions inevitably involve pointing out some of the weaknesses in other insulation systems. Some people get offended, upset and send us emails we’d rather not get. But we’d rather upset a few manufacturers, rather than give an innocent person only ‘half the picture’ when enquiring on a subject which has the potential to make their home feel really fantastic or really drearily dreadful. There are times when you just have to call it as you see it and you can’t swing both ways, you can’t stand in the middle of the road. We content ourselves, when we are critical of the normal sheet and board insulations that abound in our country and fill up trucks, and builders depots around this land, that we can actually speak about them from direct experience. If you bought a car for example and it really let you down, in our book you’ve earned the right to point out the weaknesses of the vehicle if someone enquired from you. Here at Fusion, we can say with certainty that all our guys have worked heavy construction, all are homeowners and all have experienced ‘traditional’ insulation systems whether they were in our homes, office or workplace. So we’ve bought the proverbial tee-shirt and ‘paid our dues to the man’. • Is that insulation seamless, joint less and impervious to winds, draughts and breezesIf, on your insulation checklist your insulation can hit these two ‘bull’s-eyes’ dead centre then my dear reader you are onto a winner. Let’s take that ‘one two’ test and apply it to the vast majority of ‘Roll and Sheet ‘insulations that are so common up and down our land. Let’s leave aside for a moment how downright uncomfortable it is to handle a lot of those woolly insulations, ignore how those itchy glass pieces get into just about every part of your body. Lets look at the claimed performance roll type woolly insulations for a moment as they tend to be the cheapest and ‘commonest’ out there. On paper woolly insulations have great U values . But if you read the small print and examine how these insulations achieved their U value ratings you’d be shocked to discover that in those self same tests, the woolly insulations were actually tested in bone dry low humidity conditions and with zero air movement or extremely low air movement across them . The big deal is that you simply don’t get laboratory conditions in the real world conditions of your attic at home or your loft. In the real world air is damp, air moves at sometimes frightening speed and when that happens Roll type insulations lose their U ratings and often become little better than useless. Here’s the thing, many if not most roll type insulations need to be in airtight cavities and actually bone dry to perform at their best. Most Roll type insulations simply can’t cope with the real world and when they meet the real world, damp, moist conditions they soak dampness and instead of acting as insulators any longer now become rather excellent conductors. 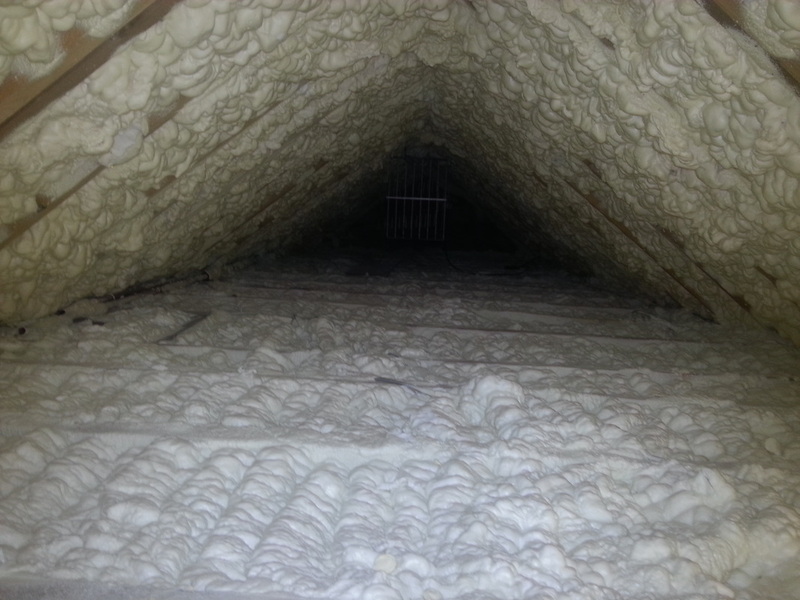 Cold damp air can whip through roll type insulations like a hot knife through butter and case those roll insulations to compress, warp, and shift and as a result become dramatically less effective. End result your home shivers and you feel miserable. Sheet type insulations? They are better than roll type insulations but they have a ‘weak link’ . That weak link is they have to be jointed . The smaller the sheets the more the joints. More joints equal areas where heat can be lost and U values destroyed .The harsh reality is that if there was some magic way to ‘seam weld’ all those board joints together and make the board insulation of equal thickness and airtight then you would approach what’s needed for a really great insulation system . Such and insulation system already exists and its called Fusion Spray in Place Seamless Foam Insulation. Its like having an insulation factory at your home, on your site manufacturing and placing your ideal depth of insulation in a seamless airtight sheet.